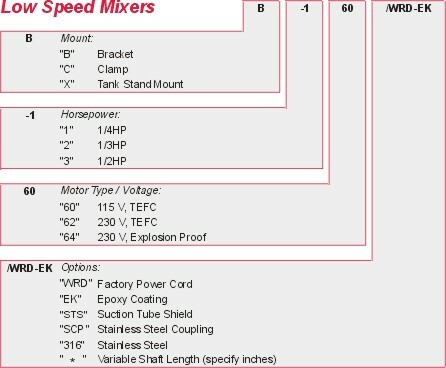 To select the proper mixer horsepower and speed, follow the sizing graph below. 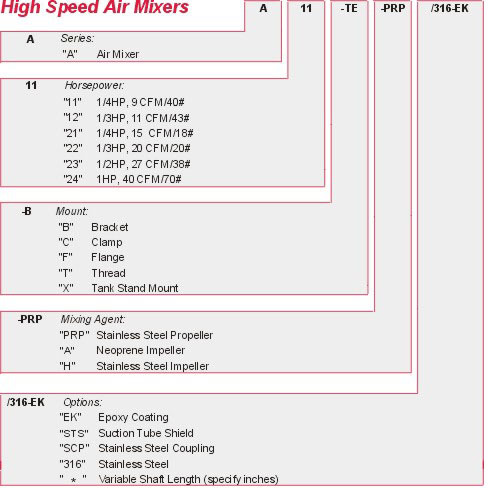 For example: a 40 gallon tank at 100 cps would require a 1/4HP 1725 RPM mixer, and a 3,000 gallon tank at 400 cps would require a 1 1/2HP 350 RPM mixer. 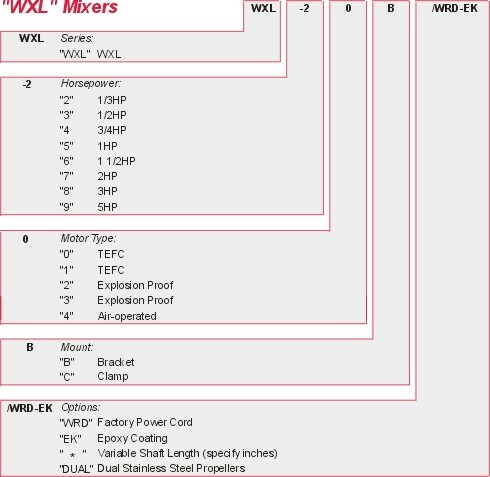 NOTE: Use the above mixing graph for basic mixer sizing. Application or intended use may change manufacturer recommendations. Please consult J.L. 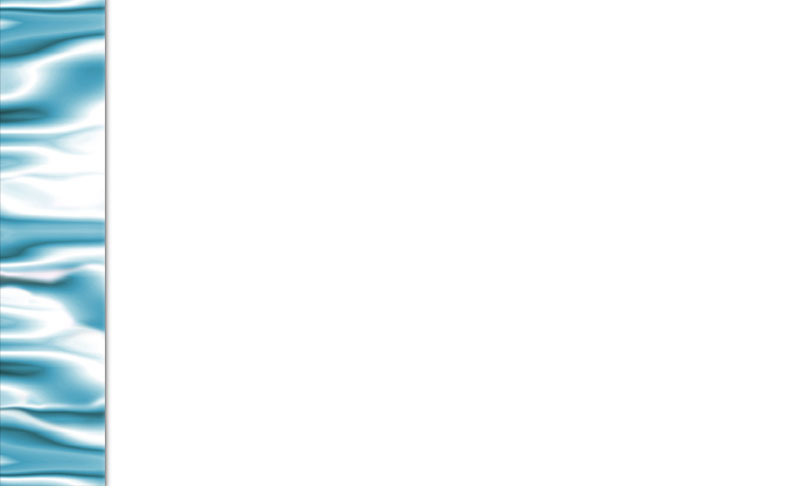 Wingert Co. on other than standard mixing applications. 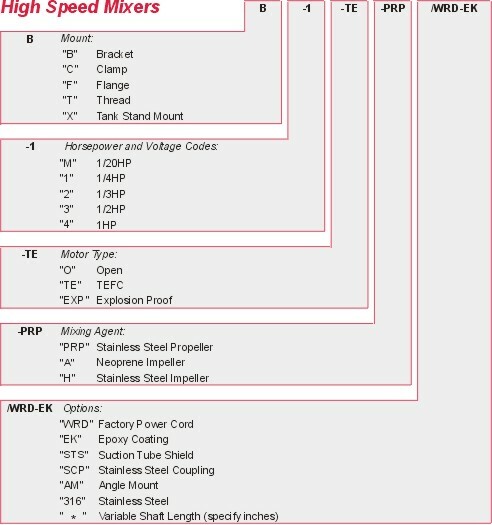 Wingert Mixers are easily ordered by designating the appropriate order code for each component selected. 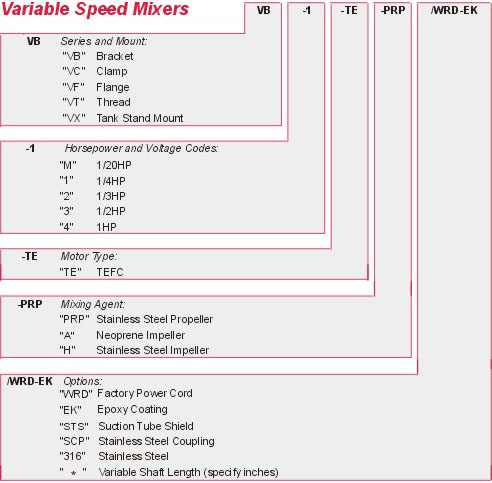 Find the correct mixer horsepower and speed for your application based on the Mixer Sizing Graph above, then use the charts below to order the desired components.